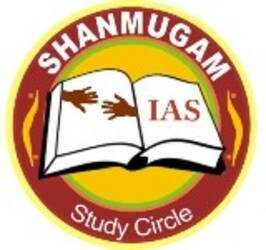 Shanmugam IAS Study circle is an independent private educational institution. It was established in the Year of 2006 with the noble cause of training the civil service aspirants in a focus manner and preparing them for facing the lands highest examination. we are steadfastly committed to quality guidance and holistic training to the IAS IPS IRS TNPSC GROUP I II& IV, VAO, BANKING, SI, POLICE, TET, TRB Railway and all competitive aspirants.